Zynga has a new game in the Apple App Store called ‘Running with Friends’. 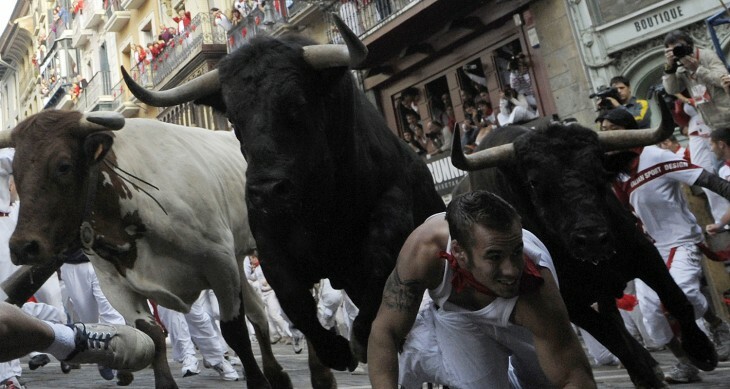 The firm has not turned to fitness apps but has presented a first person social chase game based on fleeing from the bulls of Pamplona and it looks to be very similar to Temple Run. Naturally, being a Zynga game, the game has social elements and so players can pit their skills against friends and compare scores. As you can see in the screen shots, the point is to run, leap over obstacles, dodge and slide around things in your way and mostly avoid being trampled by your bovine pursuers. The game is compatible with iPhone, iPod touch and iPad and needs iOS 5.0 or later to work. It’s interesting to see Zynga veer away from the puzzle and strategy games it is known for, but the chase game theme is one that has proven to be popular after the phenomenal success of Temple Run, which has seen over 100 million downloads and sparked the creation of Temple Run 2 which is expected to arrive in the App Store very soon. Running with Friends appears to be available in the Canadian App Store at the moment, so you might need to wait for international access unless you have an account for that territory. With this change of pace (excuse the pun), maybe Zynga will receive a boost to its numbers. Late last year the company saw a drop in active daily users overall, but at the same time managed to see gains with Farmville 2 with 8.4 million new daily active users since its release, according to the German Facebook application metrics provider AppStats.